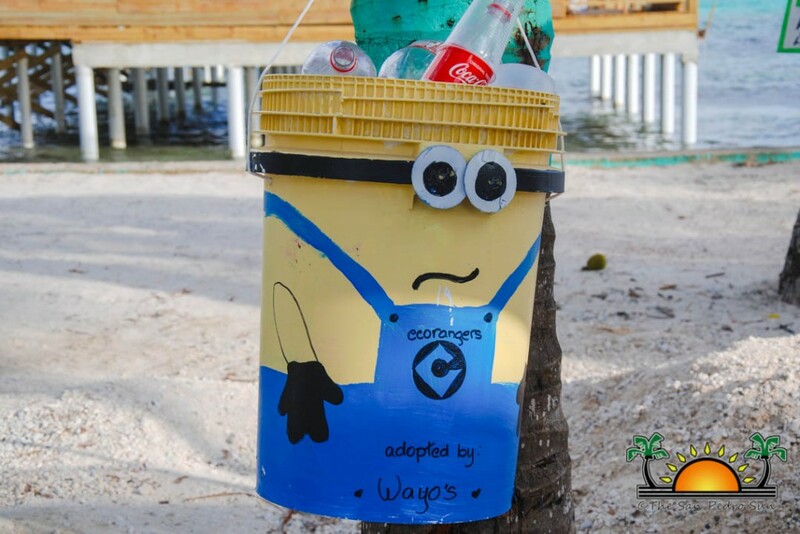 In an effort to continue creating awareness on the island’s garbage problem, the Development Finance Corporation (DFC) Eco Rangers have embarked on a new project dubbed ‘Adopt a Minion.’ The project consists of buckets beautifully painted to resemble the animated characters called Minions, which are then adopted for the collection of garbage by residents and business establishments. Several establishments are supporting the idea by adopting a colorful bucket which comes at no cost. The Rangers hope that this initiative will encourage islanders to keep their neighborhoods clean. The group is being supported by Adan Kay, Human Development Officer of San Pedro and island resident, Diane Klumb. According to Kay, what began as a routine clean-up of their yards and nearby streets, has now evolved into a vision to rid the island of garbage. 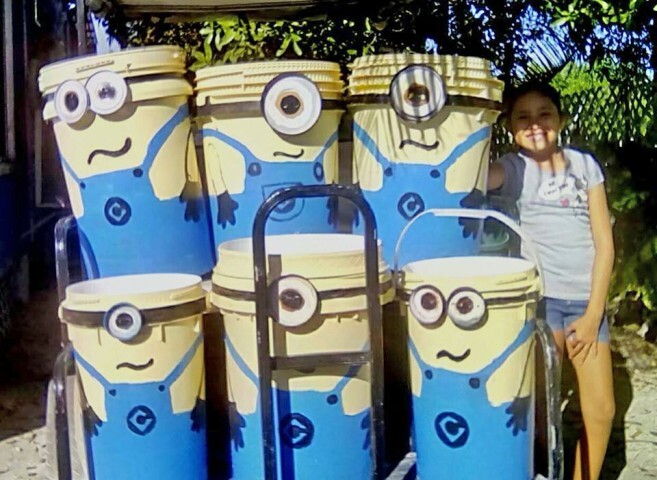 Kay mentioned that the idea of ‘Adopt a Minion,’ came after Island Pool Supply, a business in the San Pablo Area, donated 40 buckets to the youth group. “This type of support from the community continues to help us in our mission to keep the island clean and beautiful,” said Kay. 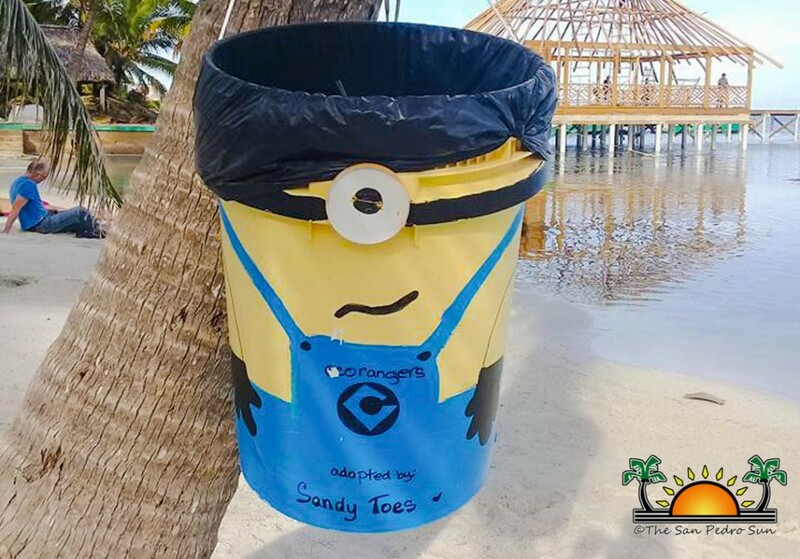 “The idea with the buckets resembling a Minion is to attract people’s attention and at the same time encourage them to place the garbage in the right place.” Kay indicated that as the group continues to receive more buckets, more Minions will be born. The group is also looking forward to working with the local authorities in encouraging the community to keep their areas free of garbage. According to the DFC Rangers, the response from the community has been positive so far with many businesses supporting the project and adopting a Minion. A couple businesses by the beach such as Wayo’s Beach Bar and the Palapa Bar and Grill are happy to be onboard with the program. They hope that with this venture the beach will be kept cleaner and more attractive for visitors. Around the island, the Minion-mania is slowly taking over with business allegedly signing up for an adoption. One particular establishment south of town is the Brooklyn Bagel Shop who continuously supports the Ranger’s move to rid the island of garbage. Many of the residents and businesses supporting the cause have indicated that if people don’t get involved, the garbage issue will hurt the economy of the island. They highlighted that if tourists do not enjoy a pleasant and beautiful stay due to the eyesores provoked by the garbage sites, everyone’s livelihood could be in jeopardy. The Rangers have been very active during the past months. They started a gardening initiative in the DFC Area, cleaning the area of visible trash and placing painted signs to keep the DFC subdivision clean. According to Klumb, the members of the group have adapted well to their new lifestyle of keeping their surroundings as clean as possible. The group of young students is hopeful that with this new anti-littering strategy, other neighborhoods on the island will be inspired to do the same. They encouraged the island residents to adopt a Minion. 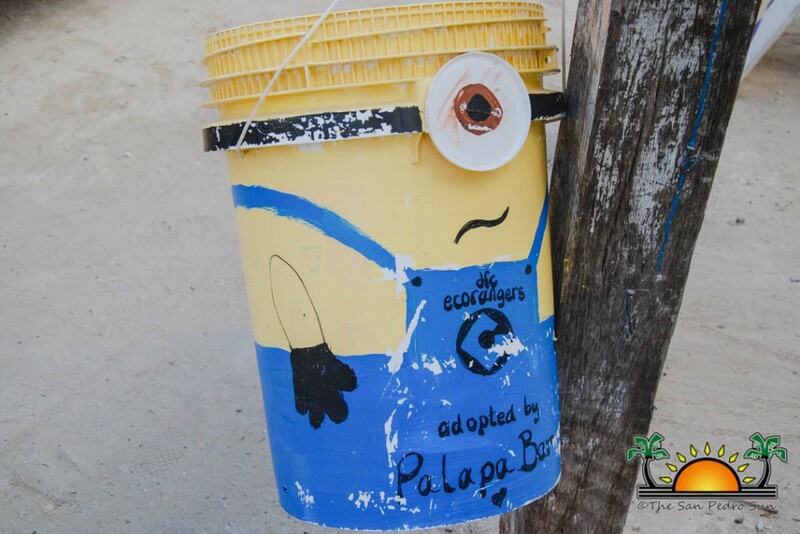 For more information on how to adopt a Minion, or to find out more about the group and get involved contact the DFC Rangers via their Facebook page at https://www.facebook.com/groups/136979056850747/about/ or contact Kay at the Ministry of Human Development at 206-2645.